In Izmir Cultural Workshop which is realized under the leadership of Izmir Metropolitan Municipality on 24th October 2009, with the attendance of Izmir people and scientists, artsists and intellectuals, a new vision of improvement is determined. The vision has three bases. First one is Izmir to be a city of innovation and design to provide progress in the future; the second one is Izmir to be open to abroad and to improve the vision through relationships with big cities of Mediterranean. Third one is to provide the vision in democratic and participatice practices. Izmir Metropolitan Municipality has formed Mediterranean Academy as a department which will support the vision determined in Cultural workshop and realize the “Izmir, Mediterranean’s city of culture, art and design. The academy, working hard with the sharers to make real Izmir vision and providing support for the strategy of globalizing Izmir, will expand horizons both for the city and the country. Academy’s first facility area will be improving cultural and historcial activities. New vision means new history. Reforming the thought activities in this field, Academy will move the capacity in Izmir universities. The strategy that Izmir is a design and innovation city is the second activity field in Mediterranean Academy. On 31st May 2011 Design Forum is organized and first step is taken in this subject. In order to achieve the design city, the design forum get into the conclusion that two conditions should be developed. First condition is increasing the design capacity in Izmir and the second is increasing the awareness and demand in design. In the discussions in the design forum, design process of Izmir is also brought forward as well. Coast Design Project was come to birth from within these discussions. Third field which the Academy will enhance the activities is organic agriculture and ecologic settlement design. The reason why the topic is one of the most necessary is that the man power of Izmir Metropolitan Municipality that can work in this field, high potential of Izmir in agriculture, possible contribution which Izmir can give world sustainability. In today’s world, the economies compete with one another through big cities. For that reason, management of big cities not only give service to their citizens, but also undertake leading role of their cities in competing in the field of economy. Thus, the variety of function has been reflected to the local government law of Turkiye. Izmir contributes to the globalisation and transition to information society being one of the biggest 130 cities in the world. Within that period, Izmir structures both itself and its hinterland as a urban zone. Having a peculiar place in democracy history of Turkiye, Izmir treats in accordance with the democratic tradition in forming new function of city management. There is a communion between Izmir public and opinion leaders that Izmir needs to leap forward in economy and life quality and Izmir has the potential and position to make the progress. Izmir Metropolitan Municipality has determined the city vision which will provide the peak in a democratic period. In Culture and Art Workshop gathered in 24th October 2009, a progress vision with three bases have been established with the attendance of scientists, and artists who are Izmir citizens and Izmir lovers. The first one is Izmir to have the characteristics of design and innovation for having a more advanced place in world economy business, second is to reach the goal open to abroad and focusing a network of relationship formed between Mediterranean big cities. Third is to apply the vision in a management mentality which is democratic and has participative practices and respectful to human dignity. It is essential to make long term effort for all public regions in order to make this vision come alive. There come out the necessity of long term institutionalizaiton which can undertake the intellectual and organizational load for the vision. 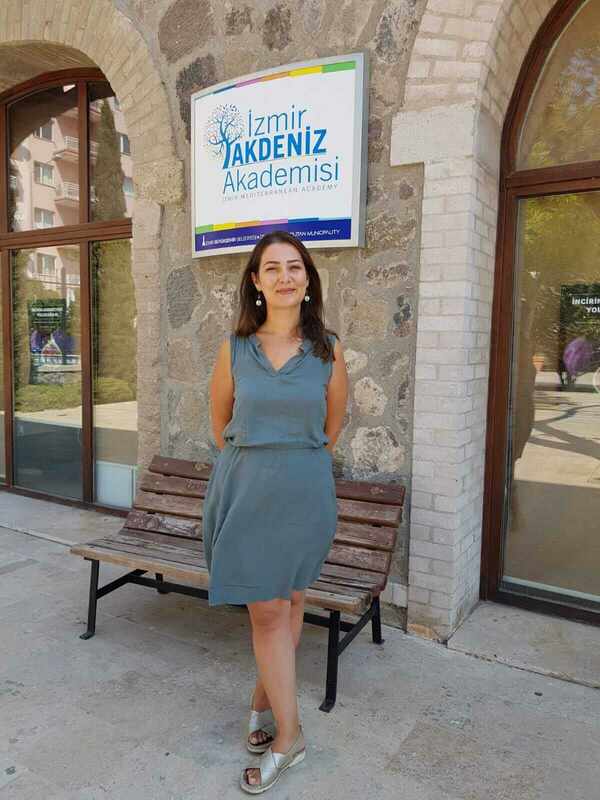 A consensus has been reached by the Metropolitan Municipality Consultancy mechanisms that “Izmir Mediterranean Academy” can be the institution and execution has been carried into. Izmir Mediterranean Academy has basically two functions. The first is that is an institution of idea. On that sense, it will develop the strategies which will actualise the vision, in this way it will broaden Izmir’s horizon, the works will not be confined in routines but will be open to continuous innovation and contribute with sharers for the intellectual capasity to improve Izmir’s vision. The second primary function of Izmir Mediterranean Academy is to create a platform where sharers will interact with each other, where functions that they undertake in realizing vision will be determined, where application promises will be given. Its being an institution which will realize both of the functions makes it authentic. Rather than being an unwieldy institution which has large staffs, which generates its thoughts by itself, which makes researches by itself, which tries to carry out solutions by itself, that is, which makes the works by itself, It has to have a flexible and innovative mentality, which triggers capacities of Izmir and Izmir lovers, which brings them together, which encourages them to do, which provides their commitment to functions. This institution capacity and commitment must accomplish organization which has a high skeleton crew, which can widen, narrow, and improve partnerships not with hierarchic division of work but according to the work it has taken, which can utilize the power and creativity of the horizontal relations. When the Academy’s area of activity is defined with the referral to Izmir’s vision, a wide area comes up. It cannot be expected from The Academy to operate in all areas. Therefore, it is expected to operate in a narrower area as an eclectic. After succeeding in certain areas, it will transfer this function to NGO’s or other institutions; it will also start being a Pioneer in a new area. At the starting stage, it was decided that the Academy would give priority to three subjects. First of them is to handle history of Izmir again with the perspective of its being a Mediterranean city. When you develop a vision to a city, the history must be written again for this vision to be able to gain profoundness. This is basically an academic operation. Researches will be made, international meetings, workshops, competitions will be held, exhibitions will be opened. Izmir Metropolitan Municipality will activate Ahmet Piristina City Museum. This operation will be a function which it will maintain throughout all its life. Improving design activity has been given priority on the vision of being design and innovation city within academy operations. The main reason of this is that Izmir has an improvement potential of design demand in Izmir and also there are improved departments related to design in the universities in Izmir. After this decision was taken, a Design Forum with broad participation was held in Izmir on 31st May 2011. Roles that different actors would undertake in Izmir’s becoming a design city were defined. Izmir Metropolitan Municipality will use its own authority to improve the people of Izmir’s living awareness in designed environments and also will provide the use of opportunities of Izmir Fair on displaying design activities. The third area on which Academy activities would focus was chosen as realizing detailed programming which will provide Izmir’s development as sustainable city. This includes a wide range of area from founding an ecological village to disposing of solid waste, to purify waste water, to constructing buildings whose carbon consumption is reduced, to food safety, to organic agriculture. These activities will be realized by paying special attention particularly to partnership which will be improved with international institutions especially with Mediterranean cities. After the Academy began operating from such starting point, while it will improve its organization, vary its activities, it will also be open to experimentality, will improve its organization by leaning to evaluating results taken. Mediterranean Academy chose culture and art areas which will have an indispensible place in Izmir’s future vision as the fourth priority area according to strategic priorities determined in Culture Workshop which was held in 2009 when the foundation was laid. Academy has aimed at playing the role culture industry deserved in the city’s economical and social development by taking culture, education, including information, with their largest definitions, and aimed at making “Creative Izmir” concept reality by providing cultural activities’ being in the center of the lives of the people of Izmir. When carrying out the Works in this area, the Academy supervises and encourages participation of all the people of the city especially children, youngsters and women into the cultural life and on the other hand, it will try to root cultural governance, which will be created with contributions and the dialog of the institutions of central administration in the city, local authority, non-governmental organizations, and the artists, between the city practices. Mediterranean Academy will try to play a pioneer role in forming a “Mediterranean cultural network” within the interaction of Izmir with the cities and cultural attempts which contribute to Mediterranean’s cultural mobilism in all cultural and art Project and activities. 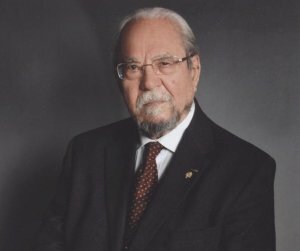 İnalcık was born in Istanbul in 1917 and he is one of the prominent names of the Turkish historiography. He graduated from Ankara University Language, History and Geography Faculty in 1940. He started working as an assistant in the department of Contemporary History of the same faculty and he completed his doctorate with the thesis titled “Reforms and Bulgarian Problem” in two years. He became a professor in 1952 and İNALCIK lectured in Language, History and Geography Faculty and Faculty of Political Sciences between 1956 and 1972. When he retired in 1972, he was invited to Chicago University. He lectured as a professor in the History Department of the University for 11 years between 1972 and 1983. He was chosen as member of Turkish, Serbian, American, English and Albanian Academies. He received many awards including Repuclic of Turkey Ministry of Foreign Affairs Distinguished Service Medal, Presidency Culture and Art Grand Award, Ministry of Culture Art and Culture Grand Award and also Grand National Assembly of Turkey Grand Award. 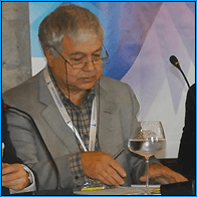 He has been working at Bilkent University since 1993. Social and Economical History of Turkiye (1071-1920), Ankara: Meteksan, 1980 (editor with O. Okyar). Archieve Studies and Examination in Ottoman Empire Society and Economy. Istanbul: Eren, 1993. Suleyman the Second and his Time, Istanbul: Isis Press, 1994 (editor with C. Kafadar). An Economic and Social History of the Ottoman Empire, Cambridge: Cambridge University Press, 1994 (Halil İNALCIK has written between1300-1600 and editor with D. Quataert). From Empire to Republic: Essays on Ottoman and Turkish Social History, Istanbul: Eren, 1995. Essays in Ottoman History, Istanbul: Eren, 1998. Ottoman, 12 books, Istanbul: Yeni Turkiye Press, 1999 (editor with N. Goyunc, E. İhsanoglu, Y. Halacoglu). Government, Justice and Law in Ottoman Istanbul: Eren, 2000. Poet and Boss, A Research on Patrimonial Government and Art Sâir ve Patron, Ankara: Dogu Batı Press, 2003. Articles on East&West I, Ankara: Dogu Batı Press, 2005. Reforms/Ottoman Empire in Peiod of change, Ankara: Phoenix Press, 2006 (editor, with M. Seyitdanlıoglu). Turkey and Europe in History, Istanbul: Eren, 2006. Ataturk and Democratic Turkiye, Istanbul: Kırmızı Press, 2007. Ottoman Sultans in Foundation Era, Istanbul: İsam Press, 2010. Ottomans, Istanbul: Timas Press, 2010. Ottoman Government in Foundation and Empire Period, Law Diplomacy, Istanbul: Timas Yayınları, 2011. Has-bagcede ‘ays u tarab Nedîm, Sâir, Mutrib, Istanbul: İs Bankası Cultural Press, 2011. Period of Identification with Reneissance Europe and Turkiye Civilization, Istanbul: İs Bankası Cultural Press, 2011. Studies in the History of Textiles in Turkey, İs Bankası Kultur Yayınları, 2011. The Survey of Istanbul, Istanbul: İs Bankası Kultur Yayınlar, 2012. 1. When Halil İNALCIK started working on kadi registries in 1950’s, he appealed to Museums General Directorate in Ankara for the registries which were found in dust and dirt and in a pile thrown away in a cell in Green Madrasa by Sultan I. Mehmed (1413-1421), to be put in order. This archive goes up to Fatih era and it is the oldest Ottoman Archive. These registries have unique value. General Director accepted his proposal of forming an organized archive from these registries. The registries were sent to Istanbul. They were bound and put in order. They were set in good order in a special archive in Bursa Archeology museum. And they have been put into service of researchers. 2. After the II. World War, in parallel with development of social and economic history researches in the world, İNALCIK founded International Association for Social and Economic History of Turkey which he thought it as a platform where Ottoman History would be researched on the base of these Dynamics, where the results would be presented to science world, and where historians, who are interested in the subject, would come in a regular basis. 3. The other Project INALCIK undertook is The History of the Scientific and Cultural Development of Mankind which was published by UNESCO. This work was planned as seven volumes. He, together with Prof. Peter Burke from Cambridge University, was assigned as the head editor of the fifth volume which comprises the years of 1500-1800 of this work. The book was Published in 1999. (History of Humanity-Scientific and Cultural Development: From the Sixteenth to the Eighteenth Century, London: Routledge, 1906). He was born in Izmir, in 1937. 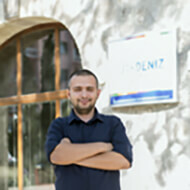 He completed his primary and secondary education in Izmir. He graduated from Istanbul Technical University Constructional Engineering Department. He got master’s degree in City and Regional Planning at Middle East Technical University in 1964 and at Pennsylvania University in 1966. He did his doctorate in City Planning at Istanbul Technical University in 1968. He lectured at different universities abroad as a guest professor. He was a member of advisory committees in many municipalities and institutions. 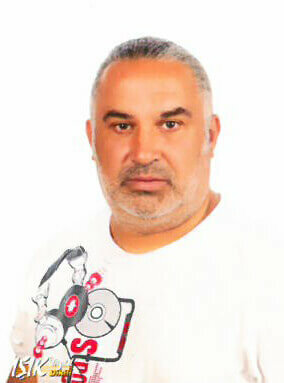 He is the founder and member of Executive Committee of World Academy for Local Government and Democracy(WALD). He is the founder-head of Turkey Economic and Social History Foundation. He was a member of General Board of Council of Higher Education between 2004 and 2008. TEKELİ has more than 50 books, more than 400 articles and conference notifications in different languages. He won many awards in the field of Social Sciences. 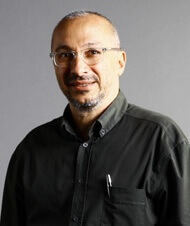 He has lots of works in the fields of city and regional planning, planning theory, macro geography, migration geography and political behavior, local governments’ theory and history in Turkey, urbanization and urban policy, economic policy, economic history of Turkey, city and society history since 1964. İlhan Tekeli, Tarık Okyay: Story of the Dolmus, environment and Architecture Sciences Association, Ankara,1977, p.1-304. İlhan Tekeli, Leila Erder: Migration as an Adaptation Process of Spatial Organization, Hacettepe university Publishing, Ankara,1978,p.1-388. İlhan Tekeli, İlber Ortaylı: Evolution of Municipal Administration in Turkey Turk Administrators Association, Ankara,1978 p.1-312. A Macro Approach to Spatial Organization in Turkey ODTU Architecture Faculty, Ankara, 1979. İlhan Tekeli, Selim İlkin: Emergence of Statism in the Stage of Implementation, Turkey Documental Economy History.3, ODTU, Ankara, 1982, p.i-x, 1-356. Urban Planning Conferences TMMOB Architectures Chamber, Ankara, 1991. İlhan Tekeli, Selim İlkin: Turkey and European Community volume.l and II, Umit Publishing, Ankara,1993. Thinking on Historiography, Dost Bookstore, Ankara, 1998,p.1-168. Consciousness and, Youth, A Comparative Survey in Europe and Turkey, History Foundation Yurt Publishing, 1998, i-xi, 1-258. Alp Yücel Kaya graduated from the Middle East Technical University of Ankara with degrees of BSc and MSc in economics. He has obtained his Ph.D. from the École des Hautes Études en Sciences Sociales in Paris with an as yet unpublished thesis: “Politique de l’enregistrement de la richesse économique: Les enquêtes fiscales et agricoles de l’Empire ottoman et de la France au milieu du XIXe siècle,” (2005). He worked at the Humanities and Social Sciences Department of the Istanbul Technical University between 2006 and 2013. He teaches actually as associate professor at the Economics Department of Ege University of Izmir. His research focuses on the conflictual world of property relations and agrarian transformation in France, the Balkans and the Eastern Mediterranean from 18th to 21st centuries. He is the author of “Searching for Economic and Administrative Reforms: Enquiry of 1863 in the Ottoman Empire”, Nadine Vivier (ed. ), The Golden Age of State Enquiries Rural Enquiries in the Nineteenth Century, From Fact Gathering to Political Instrument, Turnhout, Brespol, 2014; “Şövalyelerden Halk Düşmanlarına İrrasyonel Kahramanlar”, Çınla Akdere ve Derya Güler Aydın (Der. ), Edebiyattaki İktisat, İstanbul, İletişim Yayınları, 2014 (M. Erdem Özgür ile); “Le Bureau de la statistique générale de la France et l’institutionalisation des statistiques agricoles: l’enquête agricole de 1836”, Oeconomica, History, Methodology, Philosophy, 2013, 3 (3), 421-457; “Les villes ottomanes sous tension fiscale: les enjeux de l’évaluation cadastrale au XIXe siecle”, Florence Bourillon et Nadine Vivier (éds. ), La mesure cadastrale, Estimer la valeur du foncier en Europe aux XIXe et XXe siècles, Rennes, Presses universitaires de Rennes, 2012; “Genç Marx ve ‘Odun Hırsızlığı Kanunu Tartışmaları’ ”, Sevinç Orhan, Serhat Koloğlugil ve Altuğ Yalçıntaş (derl. ), İktisatta Bir Hayalet: Karl Marx, Istanbul, İletişim Yayınları, 2012; “In the Hinterland of Izmir: Mid-nineteenth Century Traders Facing a New Type of Fiscal Practice”, Suraiya Faroqhi and Gilles Veinstein (eds. ), Merchants in the Ottoman Empire, Leuven, Peeters, 2008. Elif Kocabıyık received her B.E. degree in the field of textile engineering at Ege University in 2000, and her M.Sc. and Ph.D. degrees in the field of industrial product design at Izmir Institute of Technology (IZTECH) in 2004 and at Istanbul Technical University (ITU) in 2012. 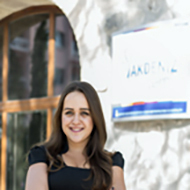 She worked as a research assistant at IZTECH and Izmir University of Economics (IUE) between 2001 and 2005. She was a visiting researcher at Sheffield Hallam University, UK (SHU) in the academic year of 2008-2009. She has been working as a lecturer at the Department of Industrial Design in IUE since 2005. She is a member of 4T-Design and Design History Society. She is the Chairperson of the Industrial Designers’ Society of Turkey (ETMK) Izmir Branch since 2016. She serves as World Design Organization (WDO) Community Liaison for the 2017-2019 term for Turkey. 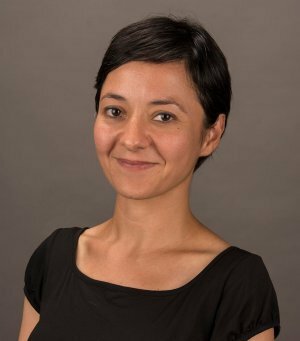 Her research interests include design history, design culture, design research methods, digital humanities and basic design. She works on everyday objects with a specific interest in packaging from an evolutionary perspective in design. She has conference papers/presentations and articles, has been part of the organization of international conferences and has edited proceedings such as “Agrindustrial Design Conferences” in 2005 and 2012. She has worked in design projects at IZTECH and IUE-EKOTAM (Design and Research Centre). Recently, she worked as one of the coordinators in Izmir’s bid for World Design Capital (WDC) 2020, and coordinated the World Design Talk (WDT), “Co-living Izmir”, in 2018. 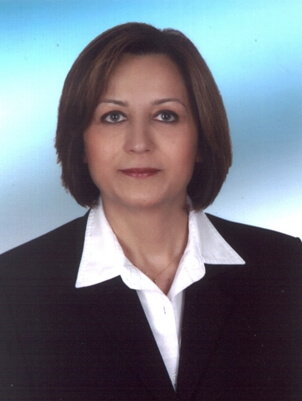 She completed Bachelor’s degree at Anadolu University in Civil Engineering Department, in 1979 and completed her postgraduate study at ITU, Institute of Science in Civil Engineering Department in 1982, completed her doctorate at Dokuz Eylul University, Institute of Science in Civil Engineering Department, in 1988. She worked as a researcher at Dokuz Eylul University, in Civil Engineering Department between 1983 and 1989. She worked as a Project Engineer in Istanbul between 1982 and 1983. She worked at Washington University, in the USA, in Department of Atmospheric Sciences on Air Sea Transfer Processes in 1985. Between 1988 and 1989, with the post doctorate research scholarship of German Government Environmental Ministry, she made researches at Stuttgart University (Universität Stuttgart) Health Engineering Institution, Water Quality and Solid Waste Management Department, Germany (Institut fur Siedlungswasserbau, Wassergute und Abfallwirtschaft). Filibeli worked at Dokuz Eylul University in Civil Engineering Department as an Assistant Professor Doctor between 1989 and 1990, and as Associate Professor between 1990 and 1996. She has been working at the same university as Professor Doctor since 1996. 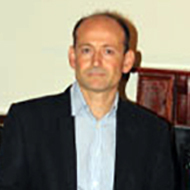 Filibeli also worked as DEU CEVMER Deputy Manager between 1990 and 1991, as DEU Environmental Engineering Department Deputy Head between 1991 and 2000, as DEU Administration Board Member between 1990 and 1996, as the Deputy Director of DEU Physical Sciences Institute between 2002 and 2004, as DEU Physical Sciences Institute Geographical Information Systems, (GIS) Department Head between 2003 and 2004. She has been working as DEU Environmental Engineering Department Purification Muds Lab Responsible since 2005, as DEU Faculty Board Member since 2006, as Izmir Province Strategic Planning, Governance, Research and Practice Center (İZİSYOM) Implementation Board Member since 2005, as DEU Physical Sciences Institute Administration Board Member since 2008. FİLİBELİ participated in a number of scientific Project as a researcher and performer. She has articles, notices and books that she edited, which were published. She is the member of IWA, International Water Association, Water Pollution Control Researches and Supervision Turkish National Committee, Union of Chambers of Turkish Engineers and Architects (TMMOB) Constructional Engineers Chamber. Since 2009, she has been the member of Solid Waste Control and Researches Turkish National Committee and the Member of İZSU Administration Board since 2012. ADA is , Istanbul Bilgi University Culture Management (bachelor degree and postgraduate) Program and Stage and Performing Arts Management bachelor degree Program Coordinator, design Culture and management and Fashion Management (certificate) Program Director and SantralIstanbul Founder-director. He is Izmir Metropolitan Municipality Culture Consultant, guest faculty member in Bologna University GIOCA–Innovation and Organization of Culture and the Arts Master Program, Association of International Art Critics (AICA) TURKEY Branch founder-member, Deputy Chairman of Anatolian Culture Corp., Deputy Head of UNESCO Turkey National Commission Cultural Variety Committee. He worked as City Culture Director and Bigger Projects Coordinator in Istanbul 2010 European Culture Capital Agency between September 2008 and December 2010. He wrote column the “Thin/Long” in Radical newspaper weekly and trials and critics on different fields of art and culture between 1996 and 2010. ADA wrote in magazines such as History and Society, Notebook. He collected his poems in the book called İlan-ı Siir (Yapı Kredi Publishing, 1995), His doctorate thesis which he completed in 2004 was published with the name “Hatay Problem in Turkish-French Relations” (1918-1939) (Istanbul Bilgi University Publishing, 2005). he got doctorate degree in the field of Image arts in April 2010. Ada knows English, French, Italian and Spanish.